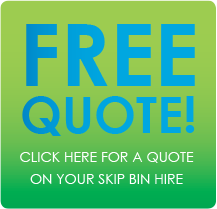 At Lockyer Bins, we pride ourselves on our prompt, friendly and reliable service. 7 Day Hire is standard. 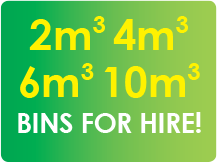 Ask us about our special weekend hire rates. *Where possible. Recycling as part of our business. All rubbish is sorted to extract the recyclable products such as steel, glass, cardboards and plastics. As a result less and less rubbish is ending up as landfill, which in turn means a cleaner, brighter and more sustainable future for us all.